In order for mechanical devices to be in a good condition and work well, servicing is required regularly. If your air conditioner is not service regularly, it might break down in future. And you will need to pay a hefty sum of money to repair your air conditioner as compared to the price of regular servicing. 1. Firstly, you will have to ensure that the condensing unit is not covered by anything else. In this way, cold air is drawn into the cooling system. Remove all items from your condensing unit. 2. Secondly, you will have to change your air filters regularly. This is the most essential thing to do to maintain your air conditioning unit in the best condition. If filters are not thoroughly clean, this will reduce the efficiency of the air conditioning unit. As a result, it would increase the monthly electrical bill. By doing so, you will be saving both your money and repair costs. 3. Thirdly, you will have to check the access panels. Make sure that your access panels are both secured and in place. Remove obstacles away from the air conditioning unit. 4. Fourthly, always remember to check your thermostat .It should always be set in the cooling mode. 5. Next, pre-checking of your air conditioning unit is very important. You definitely will not want to find out that your air conditioning unit is not working on a humid weather when you need it most. Have the good habit of checking your unit regularly. For example, test- run the air conditioning system for a few minutes to ensure that it is working well. Always prepare for the worse, at least you still have time to find a servicing company. 6. 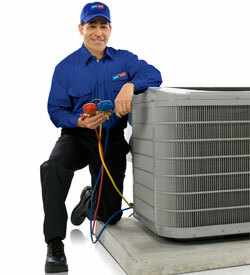 Lastly, always engage a professional air conditioning servicing company to service your air conditioning unit. You need to outsource for the best air conditioning servicing company if you want your air conditioning unit to be at its best efficiency. You definitely won’t want to service your air conditioning unit by yourself, it is a tedious job. Here are some tips to maintain your air conditioning unit, always remember to outsource for the best air conditioning servicing company, it can maintain your unit at its best efficiency and also save you a lot of hassle and money for future repair costs.